Press Release (ePRNews.com) - NEW DELHI, India - Apr 11, 2017 - There are now multiple ways to delight special ones and make any occasion a memorable affair with the help of these mouth-watering chocolates. Ferns N Petals, an online gifting company in the field of cakes, flowers and chocolates is offering its customers a wide range of chocolates to savor their mouth to celebrate various occasions. 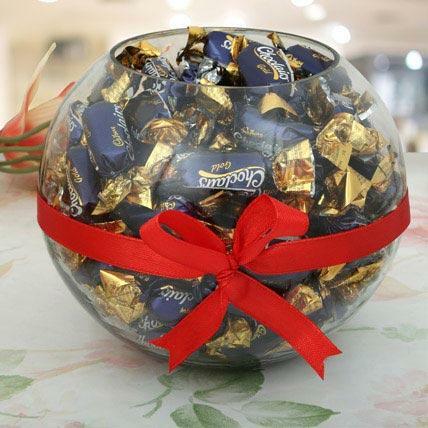 Customers can now send a variety of chocolates, chocolate hampers and other such gifts to the recipient for making any occasion truly engaging. The company offers an array of chocolates to its customers that can delight the recipient and can leave them with sweet memories for a lifetime. People love to gorge sweets on any special occasion and chocolates are a wonderful way to sweeten up the taste buds. Now, customers don’t have to search for any retail store to get their favorite chocolate bar, chocolate boxes and other such arrangements as they can easily buy chocolates online and can send them to India as well as abroad. The express delivery services of the company are capable to send the orders anywhere in India and other countries within the same day or even at the midnight. People can seamlessly get their chocolate boxes online without any efforts and can spread the sweetness and unforgettable taste among their loved ones. These luscious chocolates are arranged in the form of visually appealing chocolate hampers, bouquets, baskets and other exciting designs that make them all the more irresistible for the people. There are a wide range of chocolate bars, candies, gift packs and other varieties that can easily bring an everlasting smile on the face of people. Apart from this, the company offers an assortment of exotic chocolates for its customers in order to satisfy their taste buds. So, it is time to ditch the old traditional ways of sweets and buy chocolates online in order to share happiness with their special ones in India and other foreign countries. Ferns N Petals was formed in the year 1994 in Delhi and has since then established itself in the areas of flowers, cakes and gifts. The company is working dedicatedly in these areas for more than 21 years and is offering exciting range of gifts to its customers around the world.